Does anyone know the purpose of Memorial Day? General Orders No.11, WASHINGTON, D.C., May 5, 1868 “The 30th day of May, 1868, is designated for the purpose of strewing with flowers or otherwise decorating the graves of comrades who died in defense of their country during the late rebellion, and whose bodies now lie in almost every city, village, and hamlet church-yard in the land (CALLED DECORATION DAY). In this observance no form of ceremony is prescribed, but posts and comrades will in their own way arrange such fitting services and testimonials of respect as circumstances may permit. It is important that we pause from time to time to remember what makes this country so great, and to honor those who have given their lives for our FREEDOM. 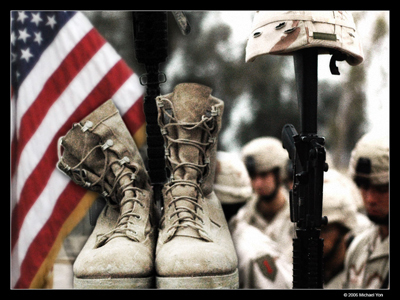 Take time tomorrow to honor those who have served in the Armed Forces. They secure our freedom from Tyranny as well as our Freedom to Worship the God of the Bible. We should also remember what and who has really had a hand in making our country great, and that is our Lord God Jehovah. Some would say that America is great because we Bless the Jews. But I say America is Great because it honors’ God’s Word. I want to quote from a sermon delivered on May 27th, 1730 by Rev Thomas Prince, a Puritan pastor. He was remembering the 100th anniversary of the Puritans coming to America. Thomas Prince (1687-1758), A Sermon Delivered at Cambridge Before the Great and General Assembly of the Province of the Massachusetts, May 27th 1730. Being the Anniversary for the Election of His Majesty’s Council for the Province. By Thomas Prince, M.A. And one of the Pastors of the South Church in Boston. Pastor Prince said that the Puritans came to New England for religious liberty, not economic reasons. Prince’s sermon also called for government acknowledgment of God. This sermon was preached before the Massachusetts legislature. I want to read his first four points. 1. When there at any time arise, either in the civil or ecclesiastical order, MEN of eminent wisdom, goodness, power and usefulness among a people of GOD, we must consider, it is the LORD their GOD, that made, accomplished and raised them up, and this in special favor to that particular people. 2. That when such a people are in a remarkable manner brought out of the hands of those that vexed them, to a place or state of ease and liberty; the gracious conduct of the LORD their GOD, is herein to be religiously observed and acknowledged by them. 3. It behooves such a people so treated of GOD, to remember all his signal operations, both of judgment and of mercy, both to them and their fathers, to view them as acts of faithfulness and righteousness to them, and consider the special and great obligations arising from them. 4. And lastly, it becomes their public teachers to remind them therefore of all these things, and from thence to reason with them before the LORD about their answerable carriage [i.e., behavior] towards Him. “And here I cannot forbear observing, that there never was any people on earth, so parallel in their general history to that of the ancient ISRAELITES as this of NEW ENGLAND. To no other country of people could there ever be so directly applied a multitude of Scripture passages in the literal sense, as to this particular country: that excepting miracles and changing names, one would be ready to think, the greater part of the OLD TESTAMENT were written about us; or that we, though in a lower degree, were the particular antitypes of that primitive [early] people. However, I’m sure, that upon the present occasion, I may justly turn the text into a like address, in the Name of GOD, to this Great and General Assembly, comprehensive both of rulers and people of every order; and say–“It is the LORD that advanced your primitive civil and ecclesiastical LEADERS, and that brought up your FATHERS out of the land of their affliction; now therefore, stand still, that I may reason with you before the LORD, of all the righteous acts of the LORD, which He did to YOU and to your FATHERS! And how extremely proper is it, upon the close of the FIRST CENTURY of our settlement in this chief part of the land, which will now within a few weeks expire,* to look back to the beginning of this remarkable transaction, and first commemorate the righteous and signal works of GOD towards us, both in our own days and in the days of our fathers; and then consider the great and special obligations they have laid upon us, with the nature of our carriage towards Him for the time past, and our interest and wisdom for the future. And here we must own, that very many have been the wondrous WORKS which the LORD our GOD has wrought for us: they cannot be reckoned up in order before Him: if I would declare and speak of them they are more than can be numbered. We may now therefore only touch on some of the most material; those of the most important, public and comprehensive nature. And he goes on to list some of the mighty works God did in establishing the commonwealth of Massachusets from 1630-1730. You could never do that in Massachusetts today. They would boo you out of the legislature. Not only did God work to form the United States, but He moved in the hearts of men to do so. Our founding Fathers honored God, they Honored God’s Word, and that made America Great. 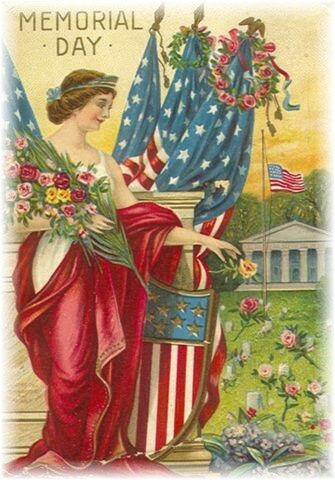 “The highest glory of the American Revolution, said John Quincy Adams, was this: it connected in one indissoluble bond, the principles of civil government with the PRINCIPLES OF CHRISTIANITY.” comments Adams made in a July 4, 1837 oration. For the first 250 years of our existence God’s Word determined the conduct of self-government in homes, churches, and civil society. God Blessed America because our forefathers built their nation with reliance on Him and His Word, and because God had a Gospel purpose for our nation. But today we have forgotten our Bible Heritage and only the skeleton remains. We say HERE RESTS IN HONORED GLORY AN AMERICAN SOLDIER KNOWN ONLY TO GOD. YET ANY HONORED GLORY THAT OUR NATION HAS IS BECAUSE WE SUBMIT TO AND HONOR OUR CREATOR GOD. 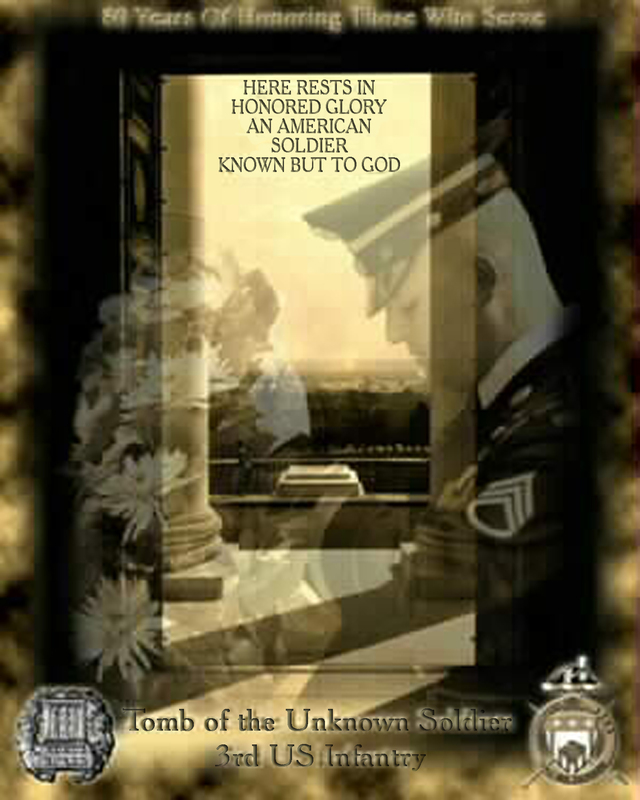 AS WE DO NOT FORGET OUR UNKNOWN FALLEN, NEITHER SHOULD WE FORGET OUR GOD. We as a Nation have turned away from the authority of God and His Word. I believe we have BLINDERS on our eyes, and we refuse to see the HANDWRITING ON THE WALL. I believe America is trodding on dangerous ground. We have forgotten our GOD. George Bush – “Danger Everywhere”?